Analyze educational data better, faster and easier. 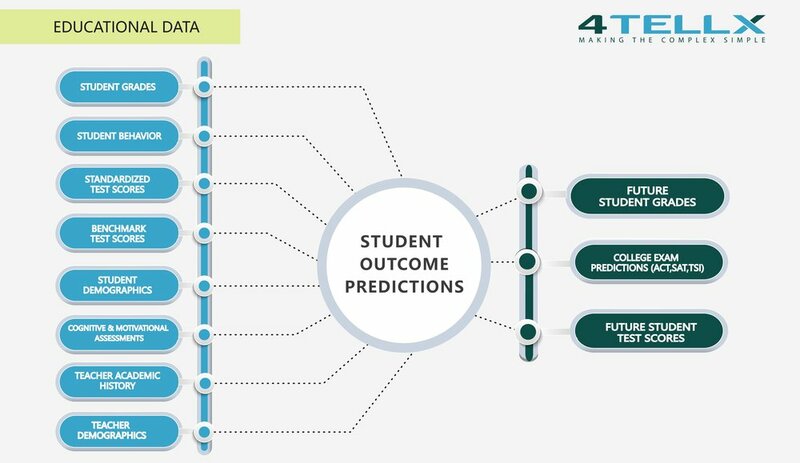 Predict student outcomes. Make Informed Decisions. 4TellX Solutions are designed to take the guess work out of analyzing educational data and predicting future student outcomes with over 90% Accuracy. If you care about helping students reach their maximum potential, 4TellX is the solution for you. 4TellX takes existing data and ANALYZES it quickly and efficiently to determine potential outcomes. View our solutions to see how 4tellx can help you be ahead of the game when it comes to student outcomes.